Adam Harvey’s thesis project at ITP is one to dazzle. 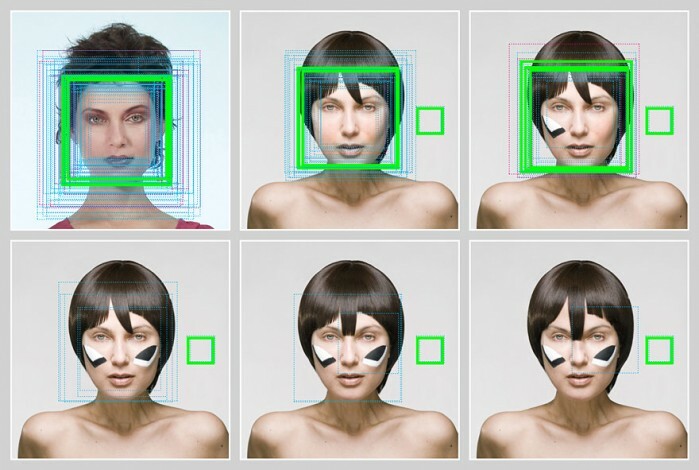 Not only because it is such a clever concept with a deceptively simple execution, but because it was designed to dazzle, not only onlookers but also face detection software based on computer vision (CV). In the words of the artist himself. CV Dazzle is camouflage from computer vision (CV). 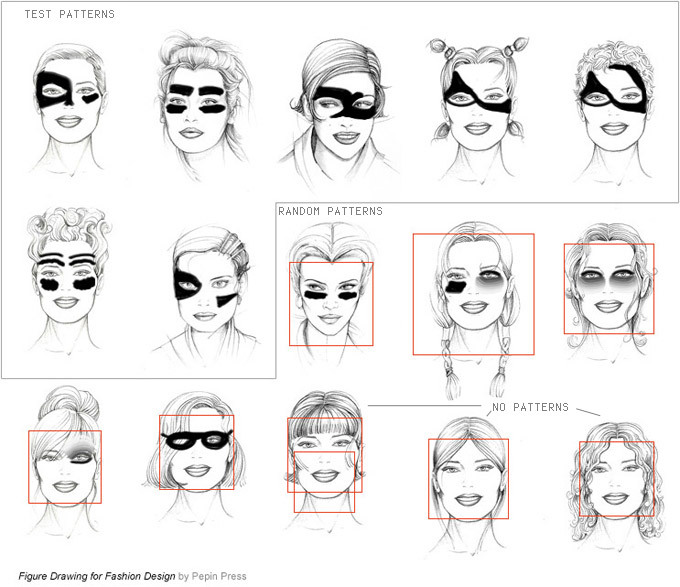 It is a form of expressive interference that combines makeup and hair styling (or other modifications) with face-detection thwarting designs. Face detection implementation in CV systems is mostly based (like many other CV techniques) on statistical analysis. This means that these systems have certain assumptions built into them, assumptions like for example, sharp changes in contrast to be expected in certain positions of the face (those would be read as eyes) and these eyes are to be expected at certain distances from the mouth or the nose. The training of these systems gives them an impression of what an average face looks like and they have an internal mathematical description of this abstract face. Adam Harvey’s Dazzle Make-up technique basically defuses this form of analysis by introducing elements that the statistical method cannot account for, thus defeating face detection totally. Here are some of the patters that he has experimented with. Those with a red square around the face, failed to defeat the detection.